Now that the Winter Olympics are over, Web Watch will share with our readers the age-old debate that seems to crop up around Olympic season: WHAT IS A SPORT? So, in order to help lay the debate to rest (or add more fuel to the fire), here are some definitions for you, along with examples of what would be considered a sport – or not – based on these definitions. there must be competition – whether it be head-to-head or team-based – with a winner and a loser. If the activity is missing one of these bulletpoints, then it is either an activity or a hobby. Snowboarding freestyle? An activity. While challenging and requiring athletic ability, it’s still judged by opinionated judges who may or may not give the same scores to the same run. All arbitrary and not well-defined. Snowboardig downhill? A hobby. Wooo – let’s see who can make it down the mountain first! 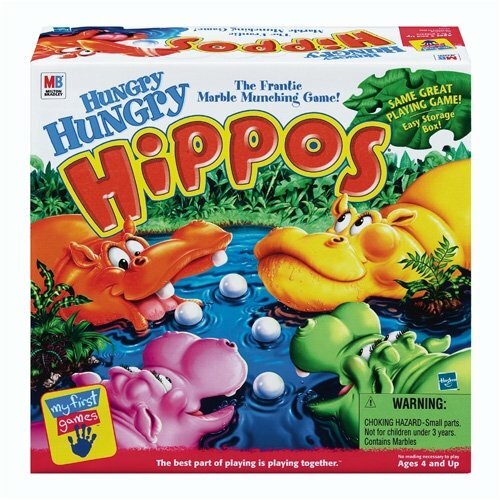 Still, even if your hungry hippo is actively trying to prevent my hungry hippo from eating all the marbles, and there is a definitive ruleset and winner defined, it ends up that Hungry Hungry Hippo is just a game. A hobby, nothing more. Same thing holds for bocce, Jarts, and Blongo Ball. Twister, on the other hand? Definitely a sport. This WEB WATCH entry was posted in Games and tagged game, Party Talk, sports on March 26, 2010 by web gangsta.